Co-operatives provide a different approach to organizing business through their ideals of member ownership and democratic practice. Every co-operative member has an equal vote regardless of his or her own personal capital investment. The contemporary significance of co-operatives was highlighted by the United Nations declaration of 2012 as the International Year of Co-operatives. 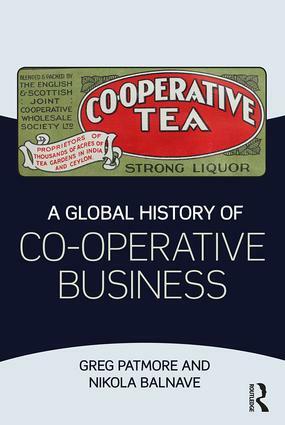 This book provides an international perspective on the development of co-operatives since the mid-nineteenth century, exploring the economic, political, and social factors that explain their varying fortunes and transformation into different forms. By looking at what co-operatives are; how they have changed; the developments as well as the persecutions of the co-operative movement; and how it is an important force in promoting development and self-sufficiency in non-industrialized areas, this book provides valuable insight not only to academics, but also to practitioners and policy makers.